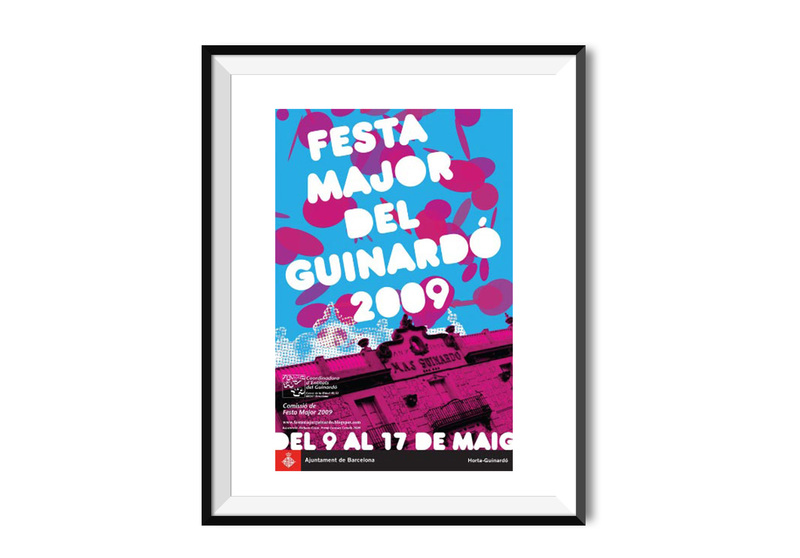 In 2009 our District organized a design contest for the poster Guinardo’s Festival. We created a poster based on the renewal facade of Mas Guinardó. The Mas Guinardó is a typical Catalan Masia, which name is the actual district of Barcelona. A historical emplacement in Puig Cogoll with a panoramical view of Barcelona, in XIX Century changes the physiognomy as actually. We used happy colours as Magenta and Blue and a white typography. We won the prize and our poster was printed and displayed on streets, brochures and different websites. Do you want something similar as our poster?